Boasting a regular season record of 25–8, the Maroons were selected to play in the NCAA Regional Tournament. The invitation marked the team’s 10th time making regionals. The squad was ranked No. 2 in the Angola Region to go along with its national ranking of No. 25. The team’s .758 winning percentage would have ranked third highest in school history, had the season ended on Wednesday. UChicago played its first match of the tournament Thursday morning against Wheaton College of Illinois. With the stakes high, the team turned to its ace, senior starter Jordan Poole, who led the team with 83 Ks and carried an 8–4 record entering the game. Unfortunately for the Maroons, Poole was not at her best on Thursday, and the Thunder got to her early and often. In the first inning, Wheaton got the ball rolling with a walk and two singles that gave it a 2–0 lead. 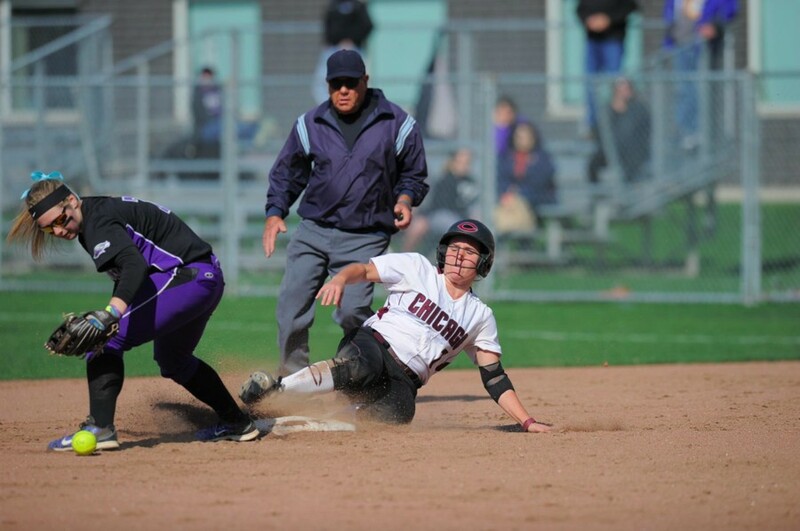 Meanwhile, the UChicago offense floundered, mustering a mere three base runners through the first four innings as Thunder starter Katie Thornton kept the bats in check. In the fourth inning, Wheaton’s hitters came alive, scoring two runs on a throwing error and sacrifice fly, then following those up with another three in the fifth. The offensive eruption knocked Poole out of the game. While first-year Jordyne Prussak pitched admirably in relief by keeping Wheaton off the board, it wasn’t enough. UChicago managed a lone run in the bottom of the fifth, and ended up falling by a final score of 7–1. While the defeat certainly stings, the Maroons aren’t done yet. The four-team regional, taking place over the weekend at Trine University, has a double-elimination format. The team will look to respond with fire in its next match against Greenville College on Friday. The Maroons’ backs will truly be against the wall this time, since a loss will knock the squad out of the tournament. Meanwhile, the Panthers will be coming off their own loss to Trine by a score of 5–3. Greenville’s record now sits at 23–22–1, and on paper the matchup heavily favors UChicago. However, with one tournament loss already under their belts, the Maroons can’t afford to take any team lightly. The game is set to take place at Trine University in Angola this Friday, with first pitch scheduled for 12:30 p.m.